We look forward to welcoming you to Crop & Create Winnipeg 2019 and on behalf of the whole team, WE ARE SO EXCITED to see you (and see some of you again!) at this special one-of-a-kind event! As you may have some questions, we thought we would provide some additional helpful information for you to consider as you are getting ready. What is included in the cost of the event? lots of prizes! Our sponsors are generous! What does the event schedule look like? Click here to see the exciting things lined up for you! What food is included at the event? On Friday evening, we will have a beautiful dessert buffet along with tea/coffee. On Saturday, we will be serving a gourmet soup, salad, sandwich buffet for lunch which will include tea/coffee and dessert. Saturday evening we will have a sweet treat along with coffee and tea. Due to the expense of coffee/tea service, we will not be able to provide coffee/tea all weekend long, just at the times noted above. However, you will find it easily in the hotel or nearby. Don’t forget to join us at 9:30 p.m. on Friday evening for a sweet treats dessert buffet AND a teacher meet n’ greet/make n’ take session! Be sure to pull up a chair, enjoy some goodies and have some fun with us! We ask that no children under 16 be registered or attend this event. Is the event accessible for those with special needs? Absolutely! We chose the Hilton Winnipeg Airport Suites for that purpose. The main crop area, classroom, and hotel rooms are all wheelchair accessible and we will make every effort to deal with any special dietary requirements. Registration opens at 8 PM EST on November 22nd. Past attendees to ANY Crop & Create event can register on Alumni evening at 8 PM EST on November 21st. Just click here to register. It’s fast and easy! The system will generate a confirmation email to you at the time you place your order. Jen, our Director of Customer Happiness and event coordinator, will email you within 5 business days of registration. This detailed email is very important and must be answered as quickly as possible. We must have all dietary restrictions and seating arrangements by January 31st. After that, we cannot guarantee seating requests. All payments will be made through Paypal which is a safe and secure payment portal. If you would like to send a cheque you are welcome to do so, however, we cannot confirm registration at the event or for any classes until the cheque has cleared. 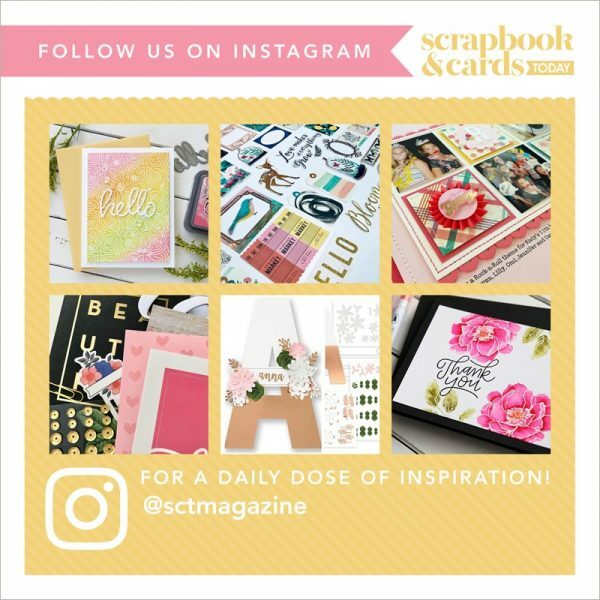 Scrapbook & Cards Today Inc. While we cannot offer refunds, you are welcome to make arrangements to give or sell your space to a friend! Please just let us know at least 1 week before the event opens. If there is a waiting list and you can no longer attend, there will be a $25 administration fee for us to find a replacement attendee from the waiting list. We cannot guarantee we will be able to find a replacement. How many people will be in each class? Each class will hold 40-44 students. Who is running the classes? Click here for class descriptions and teachers. Each teacher will have an assistant to ensure any student’s questions can be addressed. I have registered for the event. What happens now? After you have registered, the system will generate a confirmation email to you at the time you place your order. Be sure to review this email. Jen, our Director of Customer Happiness, will be in touch with you shortly after that to get additional important details from you. Be sure to review this email as it includes a few questions to which we require quick responses. I would like to sit with my friends. How do I arrange that? We ask that all seating requests be emailed to jen@scrapbookandcards.com by January 31st and we will place you all together to the best of our ability! We will try to have a few small tables around the room to place any equipment that might require electricity. We cannot run extension cords to tables. If you need additional lighting, please be sure to bring a battery operated light. I have allergies. Can I get a special meal? If you have any dietary restrictions please send us an email to jen@scrapbookandcards.com by January 31st and we will try to accommodate any special requests! What supplies are provided? What should I bring? The class supply lists can be found on the class information pages along with the sneak peeks. If you need additional clarification, please don’t hesitate to let us know! What are the hotel accommodations that are available for the event? We have secured a certain number of discounted rooms at the Hilton Winnipeg Airport Suites for those who wish to stay on the event premises and the Hilton has provided us with an amazing rate of only $139 per night (plus taxes) and free parking. You may wish to reserve your room as soon as possible to take advantage of these discounted room rates. To book your hotel use code: Crop & Create – Scrapbook & Cards by calling 204-783-1700 or 1-800-HILTONS. The Hilton has a great restaurants in the hotel and in-room dining. In addition, there are many restaurants within driving distance! Information regarding parking and directions to the Hilton Winnipeg Airport Suites can be found here. Parking for all guests attending our event is complimentary. Please register your car with the front desk if you are not staying overnight. How do I check in once I arrive at the event? Registration will open at 3:30 p.m. on Friday! We will have a very smooth and quick registration process! Short opening announcements will be at 4:30 p.m. We will have a full team introduction at 9:00 pm Friday before we break for our dessert buffet at 9:30 pm! When you register at the event you will be provided with a lanyard with your name and class information on it. Please be sure to wear it at all times when entering/exiting the crop and also when you attend each class. If you have a lanyard from a past event, please feel free to use that one again! We are excited to have the amazing The Scrapbook Cottage joining us at the event with some incredible products and fun things planned for you! Sharon works very hard to bring the latest and greatest to the event however if you’re looking for something special be sure to contact Sharon at her Steinbach location 1-204-326-6777 or the Winnipeg location 1-204-257-2771. Get ready to have many laughs in our Crop & Create Photo Booth! If you have not seen the fun pictures, be sure to “like” Crop & Create on facebook and see the good times we have in there. Be sure to bring your cameras to record all the memories! As we don’t have a liquor license, we would ask that you not bring any alcohol to either the classrooms or the crop area. The Hilton has a restaurant and a lounge for dining and drinks. Please note we are not permitted to bring ANY outside food into the main crop ballroom for liability/insurance reasons. If you have any additional questions, please contact us anytime at jen@scrapbookandcards.com or catherine@scrapbookandcards.com or by telephone at (416) 855-9637. We are only too happy to help! See you at Crop & Create Winnipeg 2019!